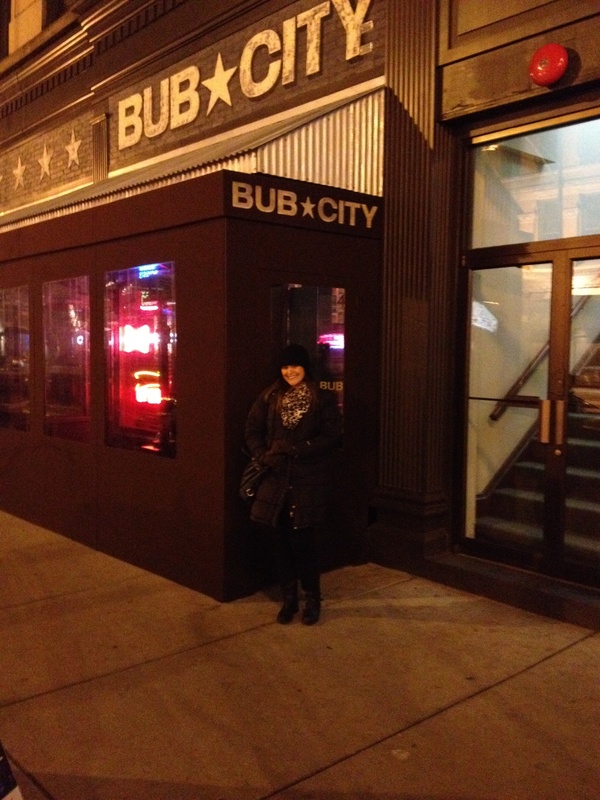 So when I heard they were opening a new BBQ spot, Bub City, in River North, I asked my good friend Lindsey from college to have dinner and check it out. 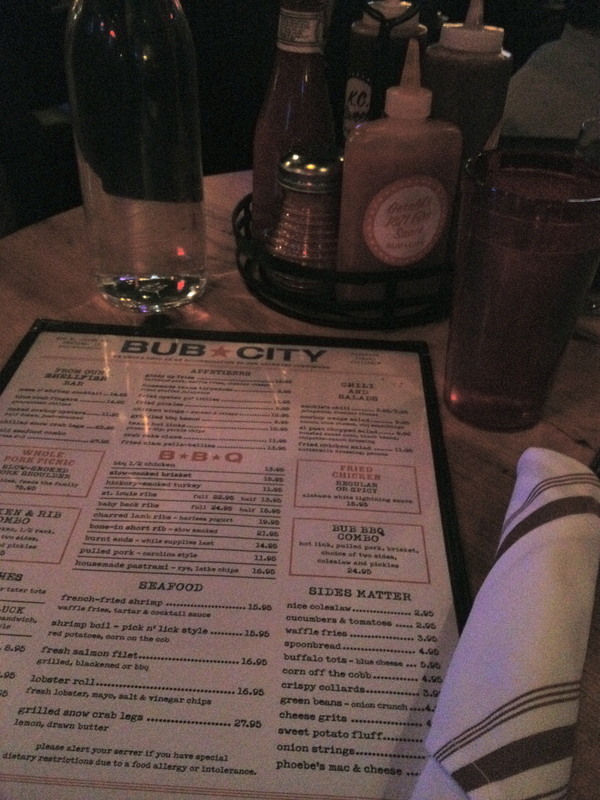 When you walk into Bub City, there’s a great energy that fills the room. The restaurant is a big rectangle, with a whiskey bar near the entrance, dining in the center (as well as a stage), and a standard bar and seafood bar on the other side. 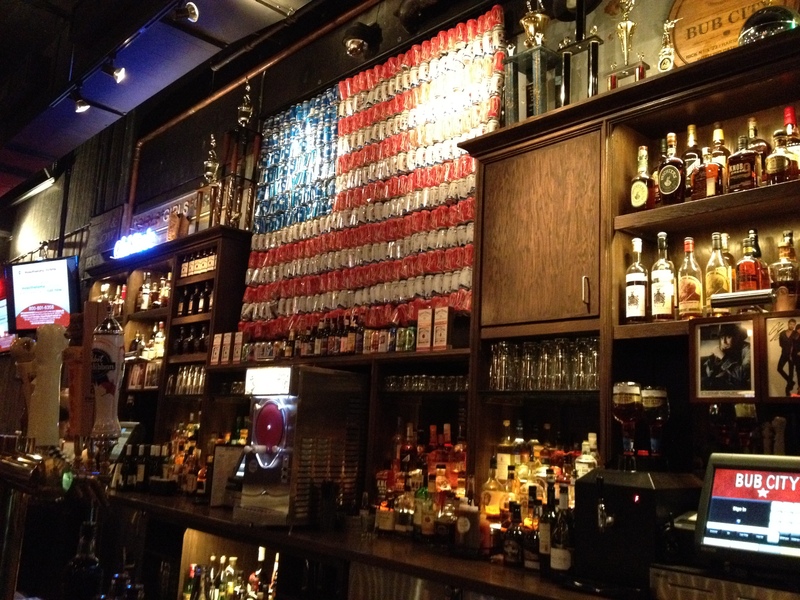 The American flag made out of beer cans (below) brings so much to the decor, along with the country-themed posters. (The plastic plates that looked that white paper picnic plates were clever too. )The staff is dressed accordingly in fitted flannels and jeans, and country tunes keeps the vibe up. We didn’t have a reservation (my fault! ), but figured the wait wouldn’t be too long at 5:40 p.m. 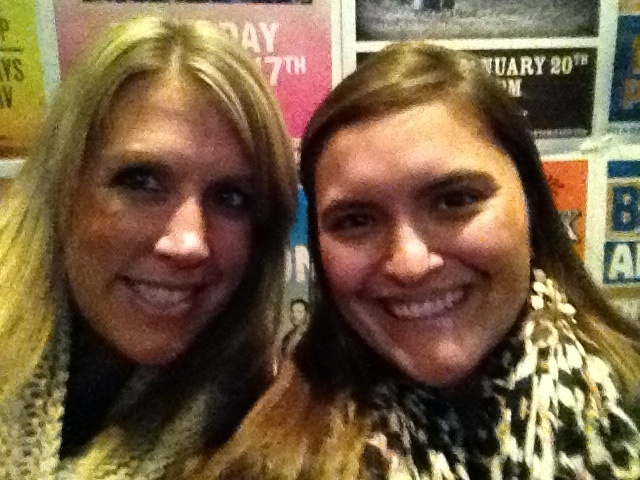 The hostess told us 35 minutes, which boggled my mind a little, but we went to the bar to wait. And waited, and waited. It probably took about 35 minutes (kudos for accuracy! ), but I was really bothered by the sea of empty tables that weren’t filled the entire time we were waiting at the bar that the wait time felt like forever. Our buzzer went off, and the hostess said she had a table ready for us. When I asked her why we couldn’t have sat at one of the open tables, she said there were a lot of reservations, which I believe, but it wouldn’t have taken us long to eat. We had drinks already from the bar, and we were hungry, so we ordered the Bub BBQ Combo: hot link, pulled pork, brisket, choice of two sides, coleslaw, Texas toast, and pickles. For our sides, we went with the waffle fries and the green beans (which our waitress recommended). Our order came up extremely fast, and, unfortunately, it was just okay. The best part of the meal were the waffle fries and the brisket for me (in that order). And our green beans didn’t come out until we were done with our food. “Green bean dessert!” I said to Linds. I think I did a few things wrong when I planned our night out. #1—I should have made a reservation. #2—I should have made a reservation on a night with live entertainment. #3—I should have made a reservation on a night with live entertainment, and I wasn’t on an antibiotic (aka can’t drink). Why #3? 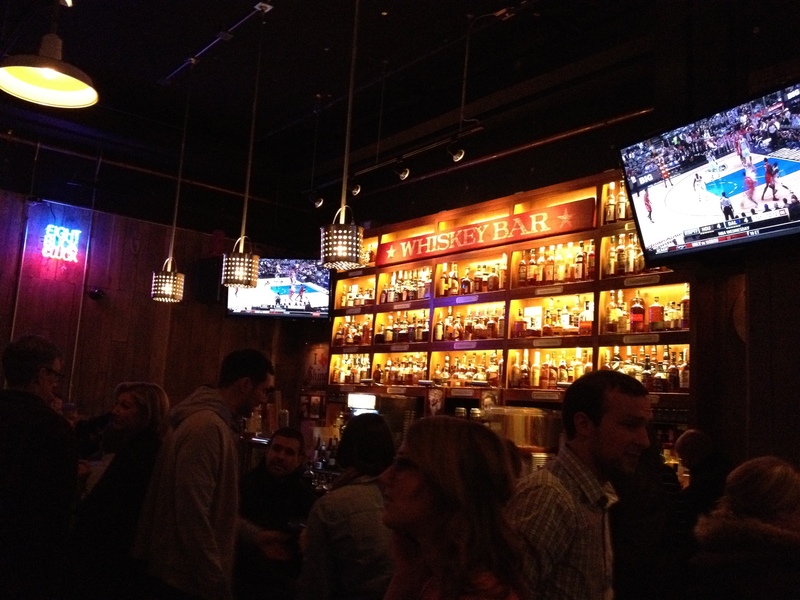 The whiskey bar was packed. The drink list was intriguing. If I came back, I’d probably come for cocktails with a group. But the scene is worth checking out—there’s definitely nothing like it in River North! 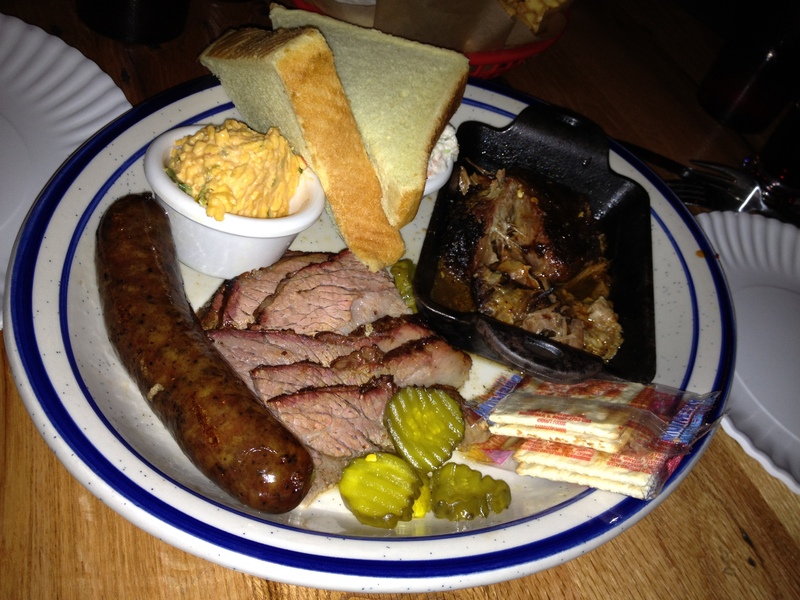 Next > Week #4 – Ada St.
Looks interesting, but how can you go wrong with barbecue. I like The River North area, but the best barbecue is Gale Street Inn. The ribs and chicken are to die for. The barbecue sauce is excellent. Augratin potatoes are the best in the city. I agree–Gale Street does have great BBQ. Chicago Q in Gold Coast is also good!